AggreGate Network Manager is an umbrella IT management platform. It provides out-of-the-box monitoring for IP networks, servers, routers, applications, services, traffic and performance. 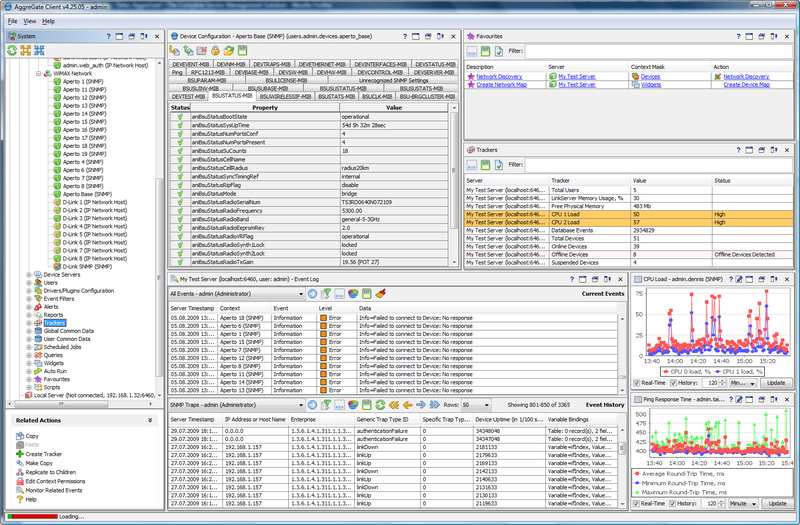 Product features include network discovery, L2/L3 mapping, alerting, event correlation, root cause analysis, charting, reporting, dashboards, network inventory and asset management, distributed monitoring, and more.